Kevin Rudd’s speech on Friday has motivated many people who have empathy with refugees to get active again. Sunday’s rally in King George Square drew the biggest crowd at a Brisbane refugee protest for years (400-500 people, it was impossible to count). Due to the anger and disbelief towards Labor’s new policy from many quarters the refugee rights campaign has geared up in response. There are three further events this week. Note: This is not a RAC event, but is the initiative of Liam Flenady, Socialist Alliance candidate for Griffith, Kevin Rudd’s electorate. Let’s keep up the pressure on Kevin Rudd after a successful rally and march in Brisbane today, where hundreds took to the streets to oppose the latest policy announcement. The new ALP policy is to make sure no refugees coming to Australia by boat will be settled in Australia. 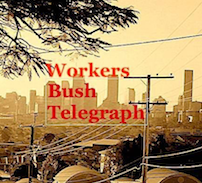 Instead they will be resettled in Papua New Guinea, a country struggling with poverty and other social issues.We have an opportunity in Brisbane to take the fight literally right to Kevin Rudd’s doorstep on the first working day back after the announcement. Let’s not waste this opportunity! More details contact Liam Flenady: 0432 619 844. Join the campaign for refugee rights. We are always looking for more committed people to get involved. You do not need campaigning experience to play a part. All refugee supporters welcome. Obviously, the main item on this week’s agenda is our response to the new Rudd policy. Where: 2nd floor, TLC Building, 16 Peel St, South Brisbane. When: 6.30pm, Wednesday 24th July. Getting there: Parking on site. Close to Cultural Centre bus station, South Brisbane railway station, South Bank City Cat. At Sunday’s rally, such was the anger against the new Labor policy, and the enthusiasm to act against it, a question we heard everywhere was “When is the next protest?” Our answer: next Saturday! Where: King George Square, Brisbane. When: 1pm, Saturday 27th July. Come and raise your voice against the cruellest asylum seeker policy in living memory. Make it clear this election “race to the bottom” is utterly unacceptable. 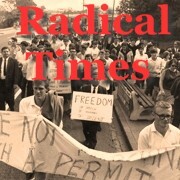 Organised by the Refugee Action Collective, www.rac-qld.org . Target Rudd for racism, yes – but what about the capitalists for their profit taking at the expense of the wretched and dispossessed? DECMIL secures Government contract to build refugee village on Manus Island (in PNG). One of the biggest profit takers in the Decmil share surge (shown below) was the Commonwealth Bank, privatised by Hawke and Keating Labor government. 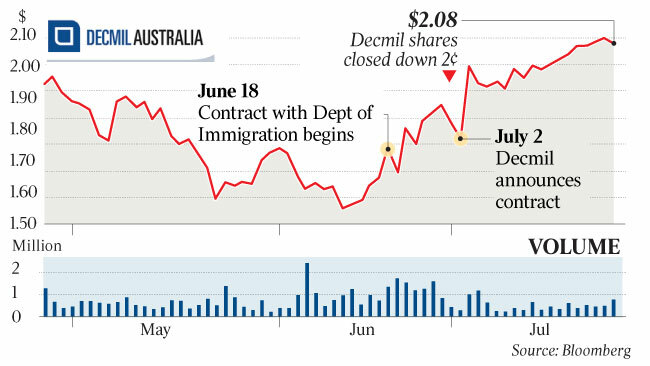 CBA bought shares just before Decmil’s contract with the Department of Immigration commenced on June 18 (2013). It is little wonder Commonwealth Bank of Australia (CBA) is set to report a staggering cash net profit after tax of $7.7 billion – Australia’s most expensive and most profitable major bank. • Demonstrates transferability of core skills and experience from building villages for Australian resources sector Leading design, civil engineering and construction company Decmil Group Limited ( ASX: DCG ) has been awarded a contract from the Commonwealth Government for the construction of a major accommodation facility on Manus Island in Papua New Guinea . The $137 million project is the first Commonwealth contract awarded to Decmil Group’s wholly – owned subsidiary Decmil Australia. It will see Decmil Australia utilise its skills built up over 30 years of constructing villages for Australia’s iconic oil & gas and mining projects to build a 600 person accommodation facility for transferees comprising women, children, families and other vulnerable groups . The project , the Manus Island Regional Processing Centre (MIRPC) , is being built for the Department of Immigration and Citizenship. • associated engineering facilities and services. 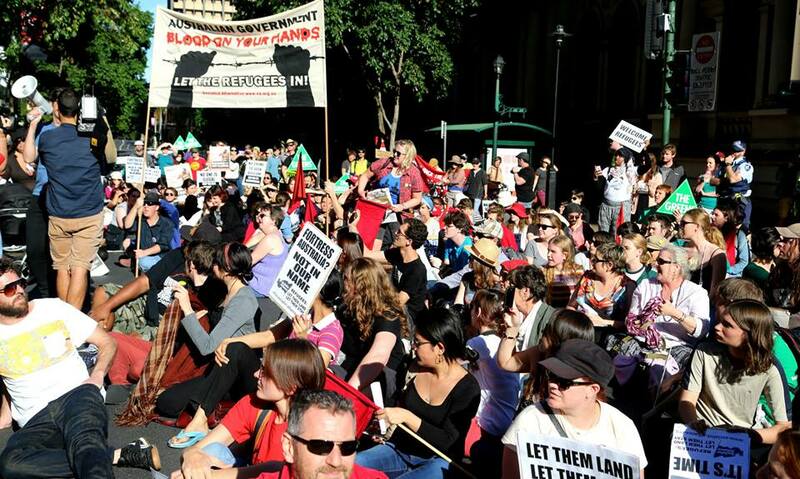 On Sunday, July 21 2013, Brisbanites protested Prime Minister Kevin Rudd’s “PNG Solution” – his plan to settle all refugees arriving by boat in Australia in Papua New Guinea. After the recent events in Nauru, many past and present Salvo staff members who worked on Nauru and Manus Island Regional Processing Centres felt the need to speak out about conditions on the islands. For those of us who work and have worked in Nauru, this riot although shocking, was an inevitable outcome from a cruel and degrading policy. Since the opening of the Nauru Regional Processing Centre (NRPC) there have been incidents of unrest that have reoccurred in escalating seriousness. Salvation Army staff in Nauru have been predicting such a tragedy for a long time. We have good reason to believe that those asylum seekers arrested and detained in Nauruan jail will not be provided with legal representation. It is likely that a large number of those men arrested in the riot did not in fact act criminally. As such we advocate for everyone to be treated as innocent until proven guilty in a court. This is especially pertinent given the comments of Minister Tony Burke already stating that visas may not be granted to those men arrested. We also believe that there are many injured men who are not receiving adequate medical treatment. We call for immediate action from human rights groups to be present in Nauru to assist those men in jail and those men who need immediate medical treatment. Please see attached a press release written by a collective unit of Salvos. If you could forward this on to relevant media sources that would be much appreciated. I’ve also included a link to the press release on my website.